The EPA says Hyundai’s 2019 Kona Electric will deliver up to 258 miles of range on a fully charged battery. That puts it ahead of Chevy’s Bolt, Nissan’s Leaf, the base Tesla Model 3 (whenever that’s available) and everything else in the compact crossover EV category. Unlike those EVs, though, the Kona Electric will be sold only in California when it launches in the U.S. early next year. 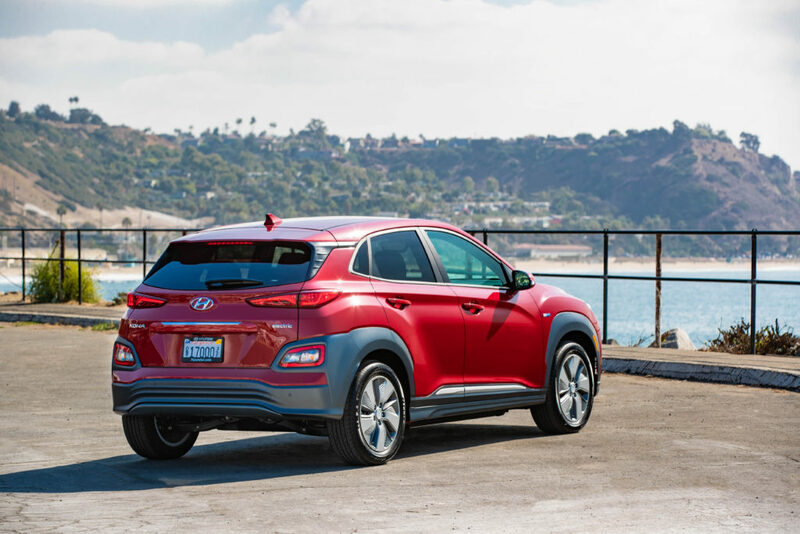 Subsequent rollouts will be in what Hyundai describes as “ZEV-focused states” in the western and northeastern regions of the country. The Kona Electric will come in three trims: SE, Limited and Ultimate. Pricing hasn’t been announced. 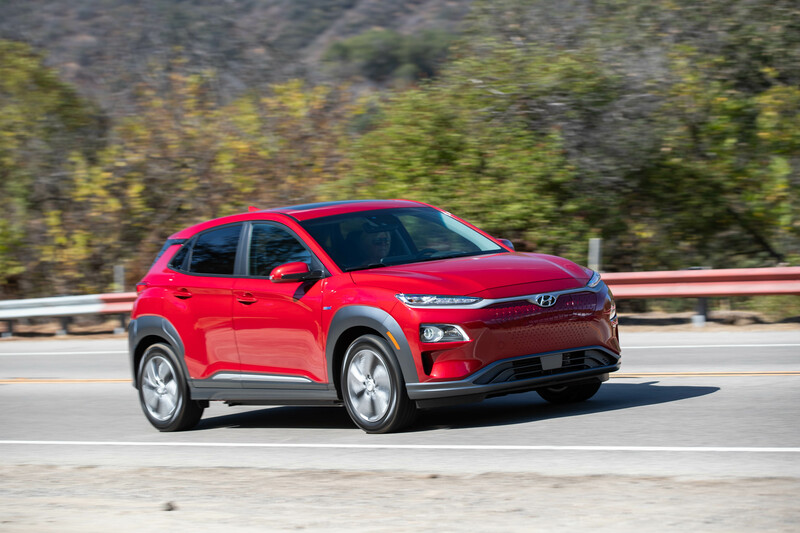 Hyundai says the front-wheel drive Kona EV will come standard with a 201 horsepower (150 kW) electric motor capable of delivering 291 pound-feet of torque. Its 64 kWh lithium-ion battery pack will charge on a Level 2 (240-volt) system at 7.2 kW, for easy overnight recharging. DC fast-charging capability for quickish top-ups on road trips is standard. Also standard is Hyundai’s Smart Sense suite of driver assistance systems: Lane keeping assist, forward collision avoidance with pedestrian detection, blind-spot warning, rear cross traffic collision avoidance assist and adaptive cruise control. Apple CarPlay and Android Auto compatibility via a touchscreen infotainment system are standard across the line as well. Upgraded trims get goodies such as leather seats, a more powerful audio system, a power sunroof, LED headlights, high beam assist, turn signal indicators in the side mirrors and Qi wireless device charging. An 8-inch touchscreen with navigation is exclusive to the Ultimate trim, as are rain-sensing windshield wipers and stop-and-go capability for the smart cruise control. Cargo space is listed at 19.2 cubic feet (this is a compact, after all) with the rear seats up, 45.8 cubic feet with the 60/40 split rear seats folded flat.